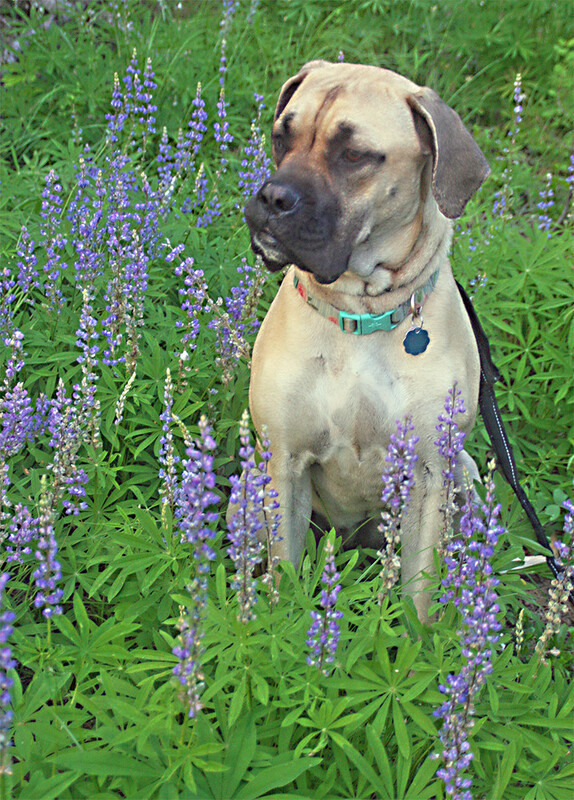 Mastiff rescue question - This Forum is brought to you by The Mastiff Sweet Spot and Friends of the Forum. 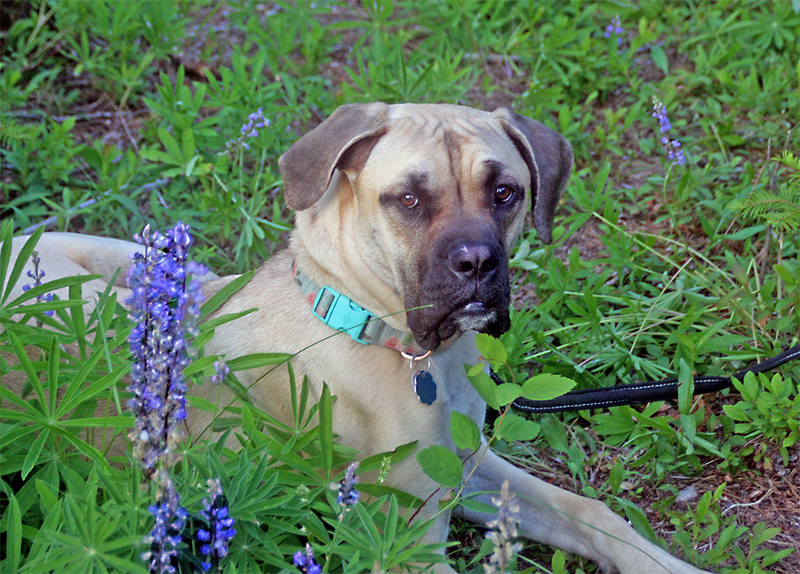 I am new to the forum, but I have had a mastiff mix before. Eight days ago, we got a half mastiff half boxer rescue who is an eleven-month-old female. She doesn't seem to have issues other than being trained very little. She knows how to sit (but not stay), wait to eat her food until you say OK, and lie down on her pillow (but doesn't stay unless you watch her). She is just as loving and wonderful as a mastiff/boxer mix we had about 18 years ago. However, she does not understand "heel" or "down" or "no jumping," which I have managed to start her on (and she does pretty well with my husband and I), but when a new person (including young children) comes over, she wants to jump all over and won't even think about staying in a sit or down position. Are there any suggestions for training her be gentle with friends/kids who come over? She is totally fine with dogs, but still a bit rough with smaller dogs (because she just wants to play). welcome to the forum! I would suggest enrolling her into an obedience training class where you have professional trainers teaching you how to properly handle her. You can contact your local kennel club and ask where they are having classes at. 11 mos. old she is still very much a puppy. So now is the time to get any issues under control. You should of posted a pic...lol. If you can't find a training club let me know what town you live in and I would be happy to find one for you. Keeping your dog busy is a good idea, you can compete in many venues even being a mixed breed...barn hunt, dock diving, lure coarsing, obedience and rally. by joining a local kennel club you can be informed on all things that are going on and learn alot...they usually only meet one night a month...but most are very informative. Hi, Doozledorf, and thank you for your reply. I did think about a class. but we live an hour from the city, on a mountain in the woods, and I am my mom's only care provider. My husband and I are busy training her, though, and she is doing very well at most things. I have trained several dogs over my lifetime, and the last one, a pug, won reserve grand champion at the fair for obedience. It's just that Maizy has not been worked with about not jumping on people, so she doesn't understand to be careful with kids (we have grandkids that come over every couple weeks). It is difficult to know exactly what to do with her to help her understand gentleness, as she is a puppy who loves to play (she chases tiny bugs, even ants, and her tail for fun!). I have not had to work with a dog who was allowed to jump on people (at least, she seems to have been allowed). Within a few days, she stopped trying to jump on my husband and I. But when the kids come over, she just seems to lose her mind with wanting to play. I guess it will just take a lot of work with her. She has no alpha tendencies at all, and is fairly smart, but as you said, a puppy who wants to play. We take her on five or six long walks every day in the woods, on leash, and she loves living here. At her last home, she was kept in a small enclosure in the back yard and was not allowed in the house. She barely had any attention there, though they did teach her to sit and lay on her pillow. Here are a couple photos of Maizy in the woods.